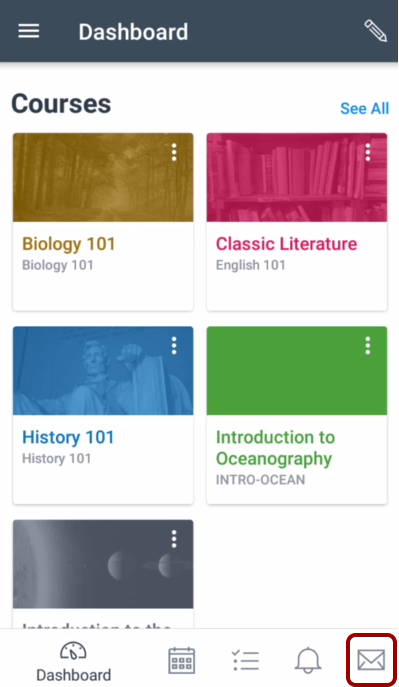 How do I send a message in the Student app on my Android device? You can send conversation messages to people in your courses using your Android device. Tap the Select a course menu . 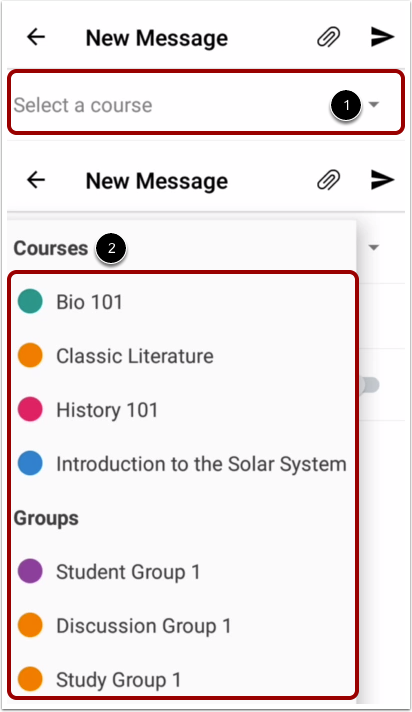 Then select the course or group for your message . To search by name, type the name of your recipient in the To field. When the full name of the recipient appears, tap the name. To search by filter, tap the Add icon. To search by course filter, select users by group. 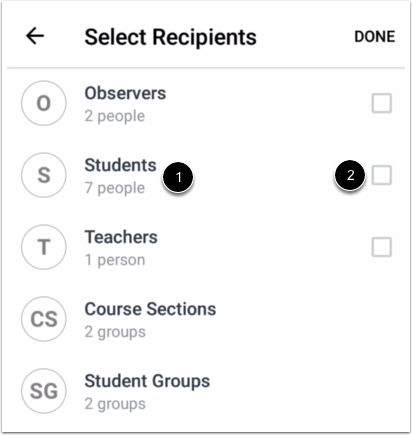 To select users in a group, tap the recipient's user group . 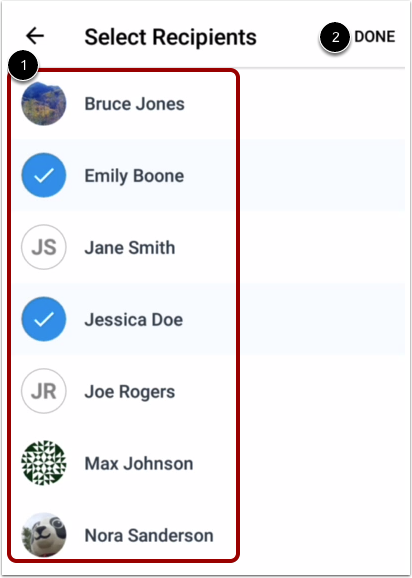 You can select all members in a specific user group by tapping the checkbox next to the group . Tap the name(s) of the recipients . A checkmark will display on the profile icon for each selected user. Then tap theDonelink . 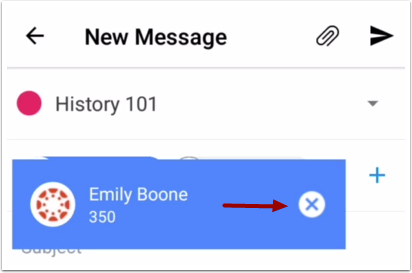 To remove a recipient, hold down the name of the recipient and tap the Remove icon. 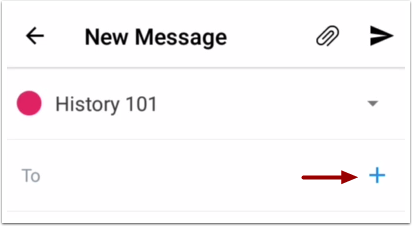 In the Subject field , enter a subject for your message. 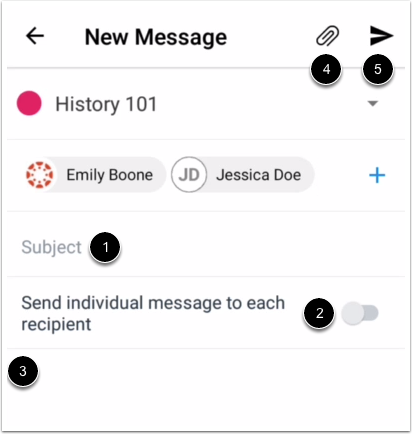 If you want to send individual messages to each recipient, tap the Send individual message to each recipient toggle . In the message field , type your message. If you want to add an attachment to your message, tap the attachment icon . When you are ready to send your message, tap the Send icon . 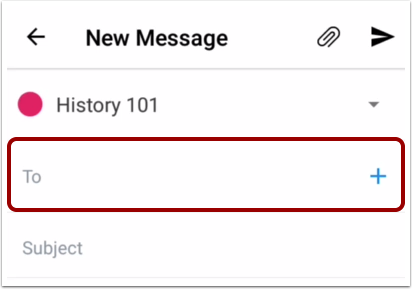 Note: New messages will not appear in the Inbox on the Canvas app until there is a reply to the message. 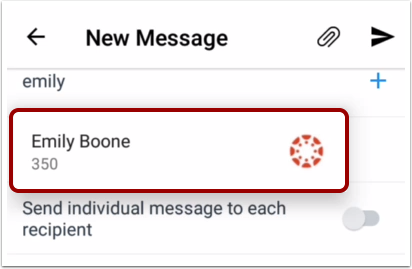 However, if you have an existing Inbox message with a recipient, the message will appear as part of that message thread. 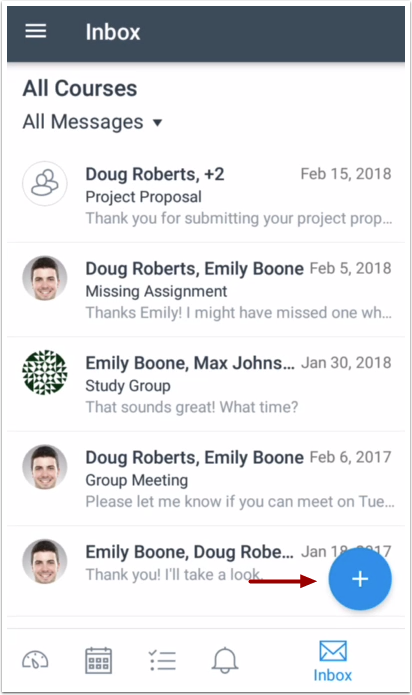 Previous Topic:How do I view the Conversations Inbox in the Student app on my Android device? Next Topic:How do I add an attachment to a message in the Student app on my Android device? Table of Contents > App Features > How do I send a message in the Student app on my Android device? Re: How do I email my instructor?